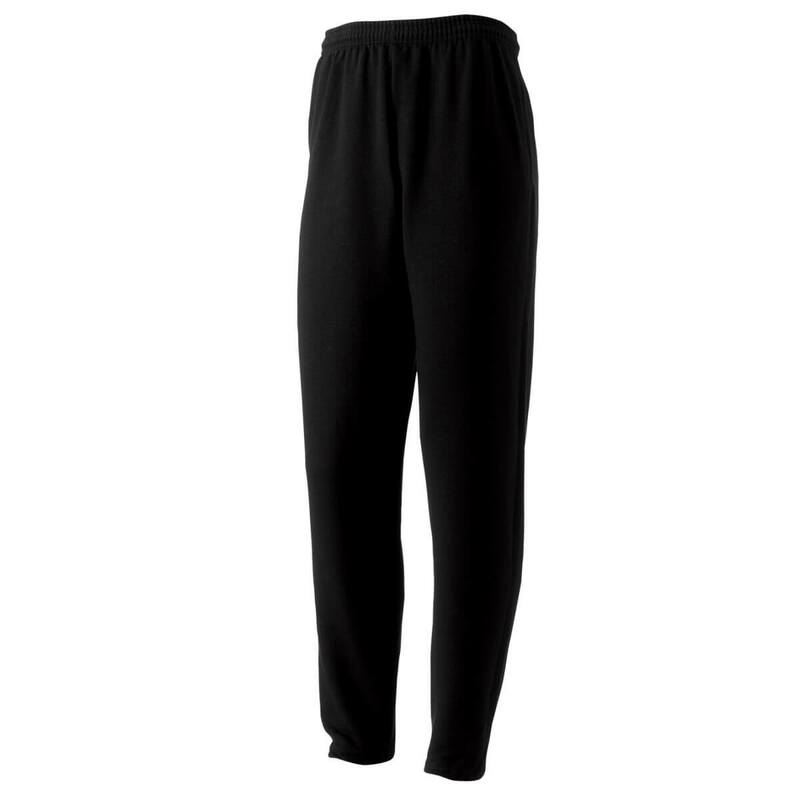 Unisex adult sweatpants with elasticated waistband and leg ends. Other features include side pockets and drawcord at the waist. Available in Small – Xlarge and children sizes.